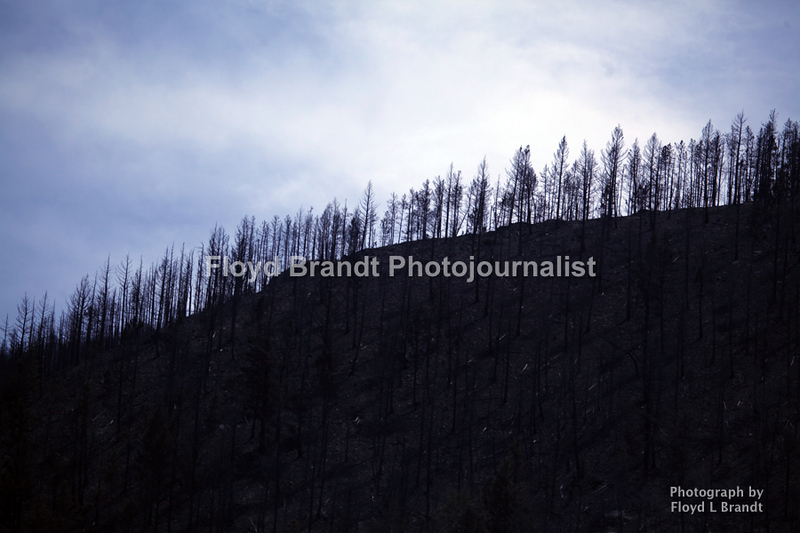 Landusky residents were able to return on Sunday after winds changed direction and fire fighters battled back the fire. Public Information Officer Geremy Olson said that the town was saved by the huge effort of the residents preparing for the fire that without their hard work the town may not of survived. This mountain on the South side of Landusky is now covered with burnt trees and scorched earth as is the mountain to the North with the fire coming to the edge of town on both sides.